When it comes to treatments, you have a lot of options. In this blog we’re going to talk about our professional treatments as well as our take-home treatments and which one(s) will be right for your hair. This is by far our most popular treatment because of how custom you can make it! We carry three different types: Extreme for people with chemically-distressed hair, All Soft for people with dry and brittle hair, and the Color Extend for people with colored hair. But what if you have dry hair and you colour it? Which one should you get? The magic of these is that you can mix and match them so that they are totally custom for you and what your hair needs. They don’t take a long time to do at the sink so they can easily be added to any service. This treatment only takes ten minutes and lasts in your hair for up to 14 washes. This treatment by evo is another quick one that makes a difference that you can really feel and see. Intended for people who are lacking moisture, this will also tame your frizz and make your hair softer, silkier, and shinier. This is also a great option for those who need a bit of help managing tangles. Your stylist will use this at the sink in between your shampoo and condition, and it only has to sit on for five to ten minutes for it to have a lasting effect. Bonus: It smells amazing! Paired with a cleansing creme, this is the treatment you neeeed for a total refresh! The Pre-Art clarifies your hair and gets rid of everything you don’t want! This includes build-up of minerals, colour, and styling product. It is a must if you’re colouring your hair because it equalizes the porosity of your hair, and the fruit acids in the treatment strengthens the cuticle and adds shine. Perfect for those who have well-water or hard water, and those who are hair-product junkies, but it can be used on all hair types and for many different reasons. You can see the shine it gives even when you’re still in the sink! 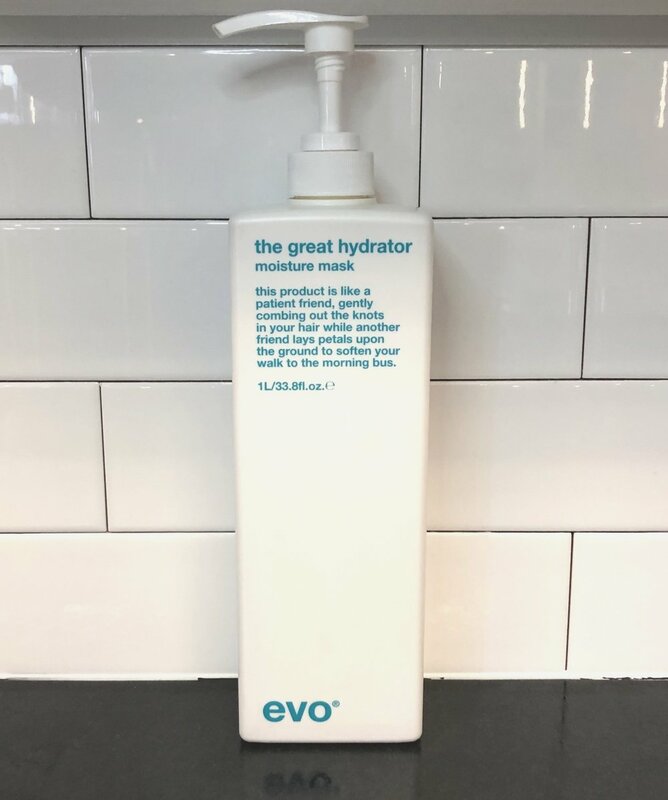 evo’s Mane Attention protein treatment is just that; A treatment that rebuilds the protein structure of your hair in order to restructure and restrengthen. This will also handle your frizz, and manageability if you’re someone who has hair that gets quite knotted. It will also leave your strands with a soft and shiny finish, and it only takes five to ten minutes! Your stylist will use this on you in between your shampoo and condition if you have chemically damaged or compromised strands that need some, well, attention! The best thing about our professional treatments is that they have corresponding retail products that you can take home and take care of your hair with. We make sure we always have lots of these on hand because once you fall in love with these at the sink, you’re going to need them at home too! These masks are really unique in that they are dual-purpose! 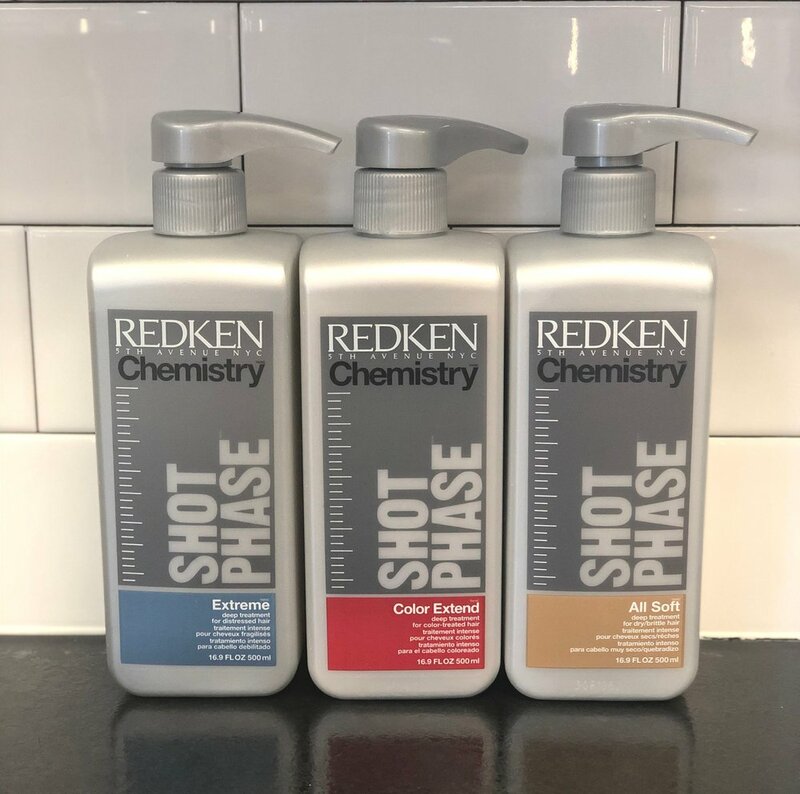 They can be used as an intense conditioner or a targeting care-extender, and they coincide with our Redken Chemistry Shot Treatments. We carry the Extreme, All Soft, and Color Extend Magnetics Masks and each time you use them they last up to 3 washes. The Extreme Mega Mask has the power of the RCT (Root, Core, and Tip) Complex to strengthen and restore the structure of chemically-treated hair. The All Soft Mega Mask restores softness, suppleness, and shine while providing 15x more conditioning than regular conditioners. Finally, the Color Extend Magnetics Mega Mask locks in the vibrancy and radiance of your colour for up to 4 weeks. Ummm… Yes please!! Want to know a secret? 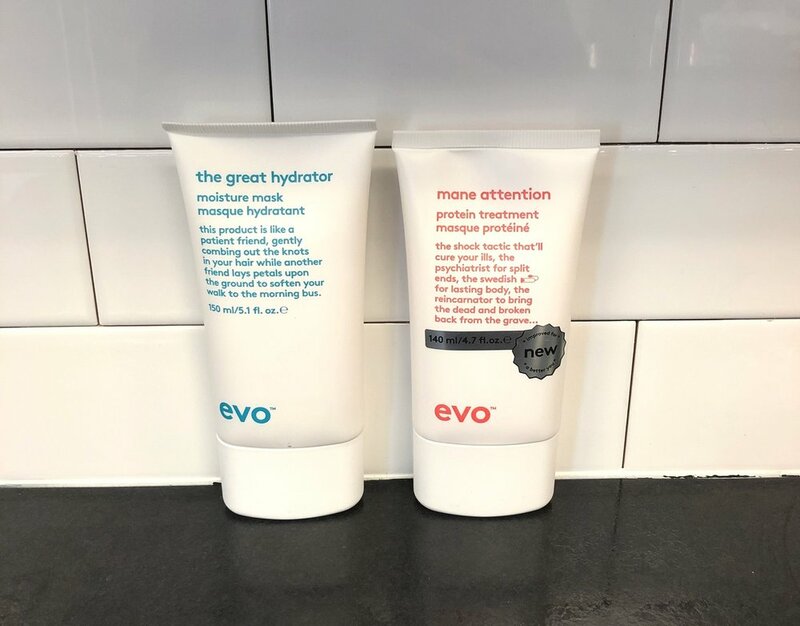 Our evo Great Hydrator Moisture Mask and Mane Attention Protein Treatment are also available for you to take home! So if you want to have the same fresh-feeling locks at home as you do when you leave the studio, add one of these titans to your shower! The Great Hydrator is great for dry, colour-treated hair because it has humectants in it, so it actually adds humidity into your hair, keeping it hydrated for longer. If your hair has become dry because of chemicals like lightening or colouring, this is what you need! The Mane Attention is great for weak, brittle, and/or colour-treated hair. If you have chemical damage, it will help deliver protein back into the cuticle. This is perfect for those who have naturally dry locks!